I haven't posted anything to this section in a long time so I thought it was about time to update. I have been reading a lot over the past few weeks and wanted to pass along a few recommendations for the casual reader. 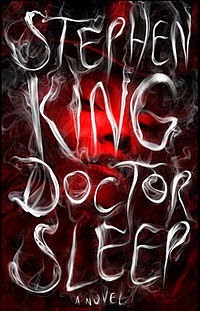 We all know Stephen King can spin a good yarn, but I was very impressed with one of his more recent works, Dr. Sleep. If you remember anything about horror movies during the 70's and 80's you definitely remember the classic film The Shining and the scene of Jack Nicholson busting down the door with an ax and saying "Here's Johnny!" is pure sadistic fashion. Well, little Danny Torrance, the kid with the shining ability, lived to fight another day. Fast forward a few years and you'll find Danny a bit older and a lot like his father used to be...drunk and with a bit of a mean streak. Drinking was how he dealt with the shining. But he gets caught up in a hell of a story that makes him face his gift, his past, and his own self in sobriety. This is one book you definitely want to pick up. I also picked up a book called Incognito by Gregory Murphy. This is not usually the type of book that I read, but considering the setting was New York City in 1911 (I'm fascinated by that time period) I decided to give it a try. It was a compelling book that was as much a drama as it was a love story in the end. If you like reading books from that setting (aka Fitzgerald and the roaring 20's era) then you might enjoy it. I was surprised that I liked it so much. Next up for review (when I finish reading them) is Duma Key and Eight Million Gods (Wen Spencer). I recall reading this book twice before because of the interesting style in which it was written. During the course of the book Fitzgerald switches from first person to third person and will often revisit a scene more than once and tell it from the perspective of a different character. Fitzgerald died before he could finish writing it, but a close friend and literary critic finished it for him from the extensive notes that he was well known for taking during a writing project. Often his notes were longer and more thorough than his books. The Love of the Last Tycoon, edited by the preeminent Fitzgerald scholar Matthew J. Bruccoli, is a restoration of the author's phrases, words, and images that were excised from the 1940 edition, giving new luster to an unfinished literary masterpiece. It is the story of the young Hollywood mogul Monroe Stahr, who was inspired by the life of boy-genius Irving Thalberg, and is an exposé of the studio system in its heyday. This is an amazing book from my favorite author and I suggest it to anyone who is open to reading a classic American novel. My perspective: Mitch Albom is a bestselling author for a reason. If you haven't read Tuesday's With Morrie or The Five People You Meet In Heaven, then make sure you pick those up as well. You won't regret it. 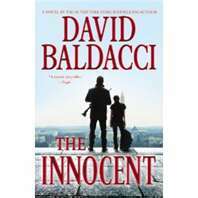 This is one of those books that I had a hard time putting down. The twists and turns of this story will keep you turning the pages. This book may be a bit hard to find, but it well worth the money spent. Matt is a friend of mine and an excellent writer. I envy his imagination because Tarantino has nothing on him. Below is a description of the book from Bookgasm. I will include the link at the bottom. 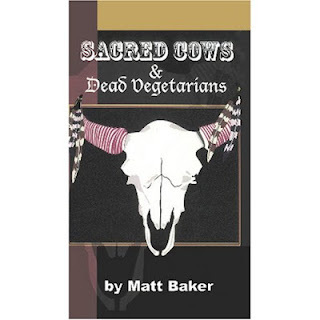 Combining the brutality of a spaghetti Western with elements of horror makes for a fine combination in Matt Baker’s SACRED COWS & DEAD VEGETARIANS. What starts out as a tale of the Old West takes a much different path than expected, after a weary traveler stumbles upon a farm in the middle of nowhere, much to the owner’s delight. You see, the rancher has a bit of a graveyard in the backyard. But if you think you know where this story is headed, you’re way off. The tables are turned really quick, with the traveler turning out to be a much-wanted man who’s going to relate a tale before he kills the owner. And our storyteller is a man named Ripley Abromowitz. So Rip tells about the last time he was captured by a Texas Ranger, one by the name of Dirk. Rip has escaped three times from jail, with Dirk now in hot pursuit to drag him one last time, with the intent of finally hanging him in the town square. Dirk is very much a man of the law, but also quite fair; with one of his earlier captures, he let his bounty dying at home from their disease instead of dragging them across the desert. So when he captures Rip this final time, scenes highly reminiscent of certain Sergio Leone films result. But on their way back to town, they come across a stagecoach being attacked by Indians. Dirk and Rip come to the rescue of said coach, leading them to a very strange town owned and run by a English lord who lives in a castle-like home on top of the hill. I wanted to do something a little different this time. I thought I'd highlight one of my books on Amazon for a change. I have several, mostly in the horror gengre. Last month I published two books for Kindle users: The Ultimate 80's, a nostalgic look back at that fun decade and growing up during, and Dark Nights, a collection of creepy and edgy short stories. The Book of Fate is a political thriller with a freemason conspiracy. 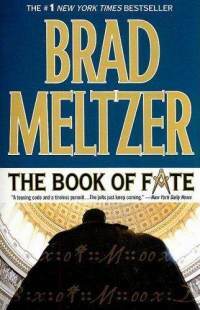 If you enjoy Dan Brown's novels, then you should definitely try reading Meltzer, whose work I enjoy more than Brown's. Meltzer has had a diverse career as a thriller author, a comic book writer, and a television host for the History Channel's Decoded With Brad Meltzer (a great show). The book is a bit long, going well over 500 pages, but is well worth the time spent. Go to your local library and check it out or try it on Kindle. You'll not regret the time and money spent. Cannery Row is a story that more or less centers on the adventures of Mack and his friends that live in an old run down fish-meal shack that they convert to be their home. This group of men are incredibly resourceful, as Steinbeck shows throughout the book. It is a perfect depiction of survival during severe economic bad times. 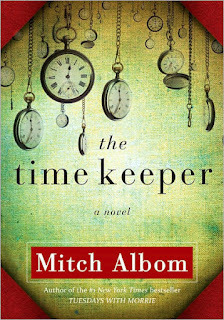 This book isn't so much about plot as it is Steinbeck's attempt to show the feeling and people of that place and time, set in the fish cannery district (hence, Cannery Row) of Monterey, California. The "plot," as it is, is constantly interrupted by the comingling of the various characters that are so intertwined with each other that they do not even know how dependent they are upon each other for their well being during the Depression. Cannery Row was written in 1945. The characters of this book are incredibly unique compared to traditional stories where the characters are often portrayed as heroic or good or evil to extremes. Steinbeck does a masterful job of showing the "grey" area that is essentially each of us. We are all made up of good and bad, just like Lee Chong, the local grocery owner who sometimes has an attitude with Mack and the boys, assuming their good intentions are often motivated by their own selfishness. Doc, another main character and focus toward the end of the book, is a great character. He has a shop set up in the "Row" and is a marine biologist. 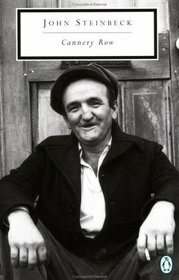 As Mack and the boys struggle to throw a party for Doc, in honor of his selflessness to the others on the "Row," other interesting and flawed characters come into play, such as Dora---the local restaurant owner and proprietor of a whorehouse. Despite running a brothel, she insists on certain "standards" such as no drinking or swearing on the premises. Cannery Row exhibits many example of the daily duality of man. 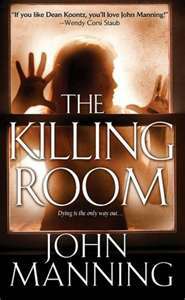 This book is the story of flawed characters trying to survive as best they can with noble intentions despite their own realities. If you haven't read this classic, then you should. Rennie: I believe that I have had the bug to write since I was a teenager. I wrote poetry - mostly not that great - throughout high school and university. When I started working as a teacher and raising our family with my wife, writing fell by the wayside and other interests developed - although my appetite for reading took off. It wasn't until I had a major motor cycle accident, that I started to write with the intention of getting published in the traditional sense - agent, editor and publish. I came close with a few forgettable adventures along the way. If you are a writer, you cannot explain it - you just have to do it - even when you want to quit. Rennie: I have been to Clearwater a number of times - the first visit when I was eight and went with my parents - and I still try to get there every year. My first four novels included the thinly disguised Lakefield and Peterborough part of Ontario. I couldn't attract a publisher with them, and I wanted to break away from the Al and Norm story to try something else just for a new challenge. I knew Clearwater, so it seemed a natural choice. Writing in the form of a diary or journal imposed a chronology and then the characters took over to tell the story. Rennie: My wife says that Joe is me - and gets jealous of Mia because of it. In fact, Joe just happened. He is my personal composite of all the protagonists I have enjoyed in my reading. Telling a story in the first person allows the writer to be a bit more intimate and for that reason maybe more believable. You can identify more easily with him. There is a vulnerabilty about Doc that appeals, but his disdain for authority and traditional behaviour is attractive to everyone who has a bit of the rebel in him or her. Rennie: Clearwater Ambush should be available on Smashwords in about two or three weeks. The novel will then get to Kobo, Kindle, I-readers, Sony etc in ten days to two weeks after that. I have fifty or sixty pages of a manuscript currently entitled - The Crazy Little Girl that I may go on with, but Doc keeps telling me that he is not over yet. I guess we'll see! Rennie: I have a number of authors I really enjoy, but my favorite is Elmore Leonard - even though I regularly break his nine rules of writing. 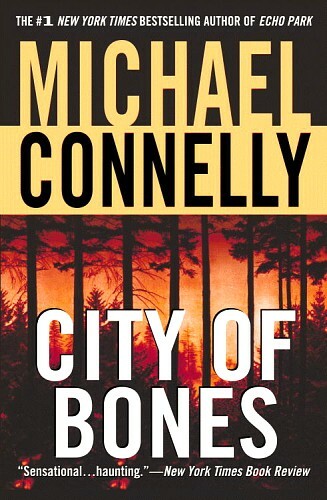 I have a warm spot for the books written by Robert Crais, Michael Connelly and Carl Hiiasen. Rennie: I have a Website that I try to maintain. 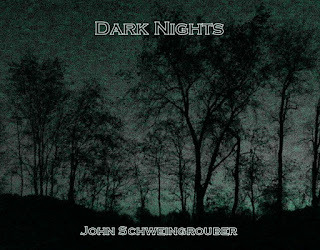 The books are all released through Smashwords to the various reading devices - or from Smashwords directly. 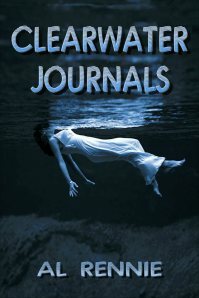 Just yesterday, I was contacted by a publisher in Turkey who wants the rights to print Clearwater Journals. If you can read Turkish, you can buy a print copy of Journals in about a year and a half - or so he has told me. There may also be an English print copy available through a subsiduary of the Turkish publisher called DreamBooks. In less than twenty-four hours a vicious and virulent disease destroys virtually all of the population. Billions are killed. Thousands die every second. There are no symptoms and no warnings. Within moments of infection each victim suffers a violent and agonizing death. Only a handful of survivors remain. By the end of the first day those survivors wish they were dead. Then the disease strikes again, and all hell breaks loose... The classic free underground novel finally bursts into the mainstream. Cold, dark, relentless and uncomfortably plausible. A Night of the Living Dead for the 21st Century. "the perfect zombie story" "nothing written in the genre has grabbed me in the same way as AUTUMN" "an equal to Romero's Night of the Living Dead"
Thanks for stopping by to check out The Ritter Files. I have a pretty diverse background, so I'll try to keep this interesting. I work in business services, I'm a self-published writer, have worked in business development, been a newspaper reporter, been a financial advisor, commentary for newspapers, been a prankster and a sports and movie fan.